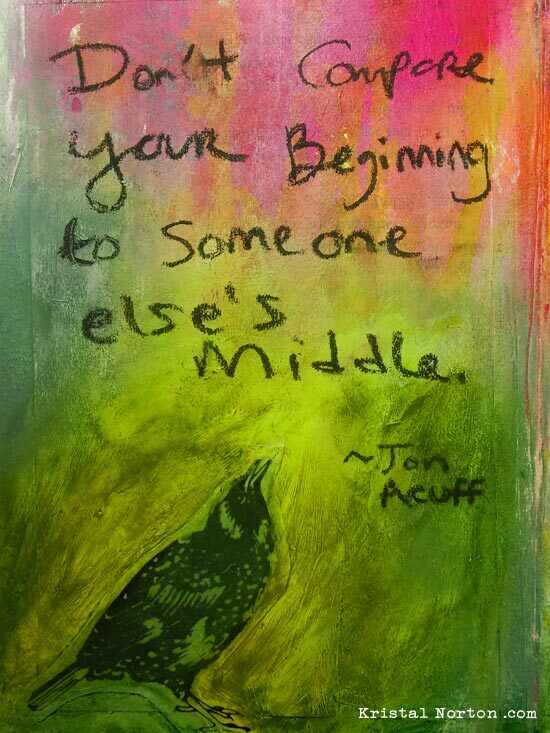 When I first started art journaling, it was more disappointing than it was fulfilling. I was so focused on trying to make my pages look like other’s I’ve seen, that it left me frustrated when I couldn’t meet my mind’s expectations. 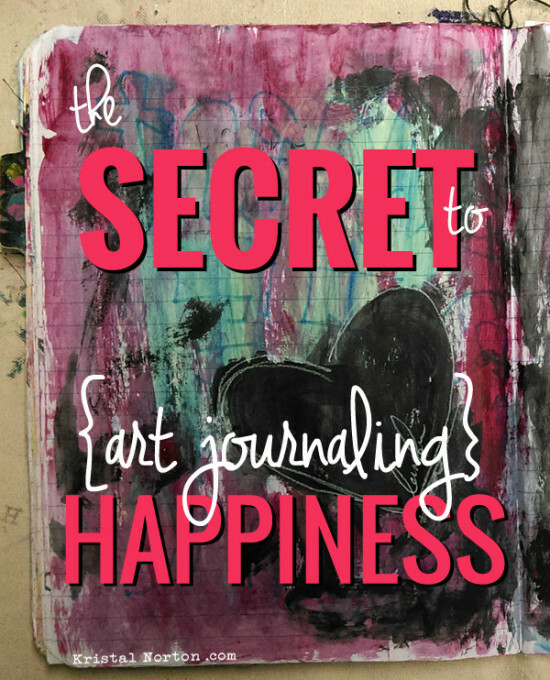 It wasn’t until I was able to put the focus back on myself and start having fun that I was finally able to find happiness in my art journaling practice. Throughout my journey (especially in the beginning) I struggled with keeping that focus. But time and time again, there were three important reminders that helped keep me on track. I’m sharing them with you today in hopes that they can be reminders to you as well to guide you into a fulfilling (and happy!) art journaling practice. Don’t Compare – Yeah, I say that a lot… but we all need constant reminders. It’s just too easy to get lost on the internet drooling over everyone’s art and feeling not good enough. But ya know what? Your own true creative voice is just as beautiful. And striving to be someone else, or to create art exactly like someone you admire, is ignoring that voice. Not only that, but it takes away the pleasure, the excitement of living where you are now. Of enjoying your own journey. 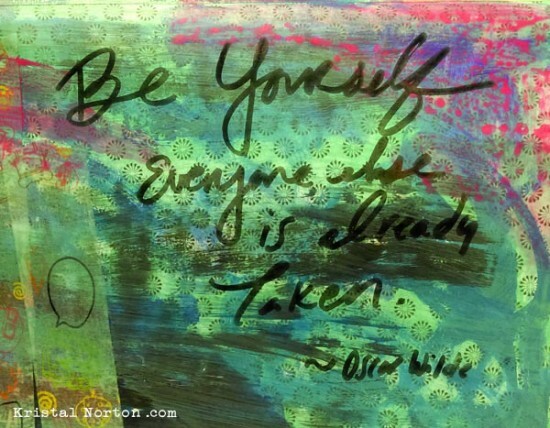 We are all beautifully unique. You and your life and experiences are like none other. This unique perspective on the world should be what drives your voice, your artistic expression. And when we compare? We’re pushing that aside to borrow someone else’s. But no matter how hard you try, you will never be able to duplicate her work, her voice. And if you did? Do you truly think it would be as fulfilling as you’ve come to believe? I’m not saying that sharing our work with others or admiring what we see is wrong or worthless… it’s what we do with it or how we react that matters. So go ahead and look and admire. But instead of comparing it to what you create, celebrate it for what it is – a peek into his/her life. And remember that this is what their path looks like, not yours. It doesn’t mean that you are less worthy or that your creations are any less beautiful. Embrace & Celebrate Where You Are – I like to think of life and our creative growth as a continuous journey. And even though our paths may look similar, each path is unique and some of us are further along than others. But the great thing is, every stage in the journey is a wonderful place to be. Your journey, especially in the beginning, is full of discoveries to be made, successes to celebrate, mistakes to learn from, and growth to witness. But when we compare ourselves to others, tell ourselves that what we create isn’t good enough, and wish for the day when we can create something “perfect”… we’re missing out on all of that. We’re missing out on our lives. Your work as a beginner will be raw, messy, and imperfect… but there is so much beauty in that. Don’t miss out on this wonderful experience you have right in front of you. Embrace being a beginner. Celebrate where you are. Laugh at your mistakes, learn from them, then try again. Revel in the experimentation of it. You’re only at this stage once. Tomorrow, you’ll be further along. Choose Your Current Path – Each day you have a choice: Which creative path do you want to walk? If you don’t choose a goal or focus, you might just find yourself walking in circles; or worse, not even beginning. 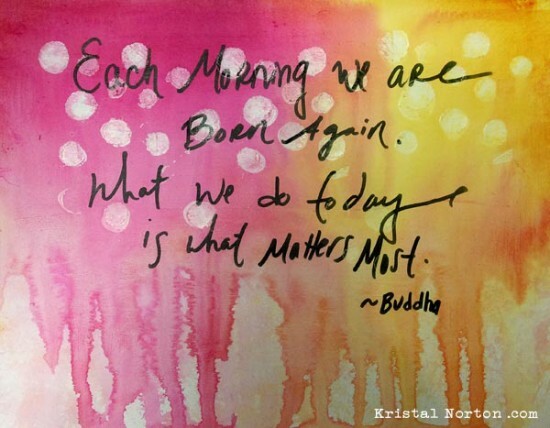 You may choose to continue down the path you walked the day before, or start anew. But each day you must choose. What do you want to focus on now? What do you want to practice? What’s your purpose? Is it to express your feelings? Or to perfect your painted faces? Whatever you choose, follow it with passion and openness. Keep in mind: mess-ups are mandatory. And above all, know that your path can and will evolve at every step you take. Embracing your journey (in lieu of someone else’s) and having a sense of where your next step is, will give you the confidence you need to face obstacles along the way. And with this new found confidence and sense of adventure, you’ll find the enjoyment, fulfillment, and happiness you were longing for. Your journey is like none other. What a timely reminder- I will be using your last words in a new project- but personalize it just for me! I sending you a virtual hug as I sure was needing to hear this. Thanks for getting me back on track. Thank you so much for your “Secrets”. My mother is a very talented artist and I did not inherit her talent. I have tried for years to paint the pretty landscapes,etc and it just did not work for me. 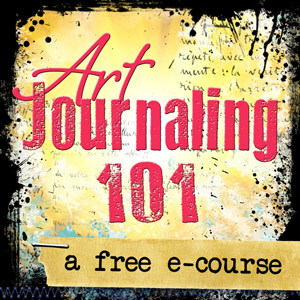 I dabbled in primitives for awhile, but it wasn’t until you introduced me to art journaling that I finally began to feel that I have found my place. I am happy to say that I am feeling more and more freedom with every page I create. Thanks again! Oh yay! That is so wonderful to hear Joyce! It takes time to find our stride, but once something “clicks” with you, it’s an amazing adventure! Thanks for the reminders. I have not started a journal yet as I fell and hurt myself all over. My spine is even fused. They found that out looking for another problem. I am hoping the doctors can help me. I have three. I really don’t think they can do much. No surgery as I have problems with all pain medication. My lower back is hurt along with knees and ankles. I really have to watch how I move or I re hurt myself. It doesn’t take much. I bent over a couple of days ago to pick up some garbage that fell out of the bag and it really did me in. I can’t spend too much time doing any one thing. I am hoping to get going soon. The cold is bad on my injuries and my heart also. If I sit long I can’t hardly get up. I am not counting myself out yet. Hope to get going soon. That sounds rough Margaret. I can’t imagine the pain you must be going through. Thanks for the reminder ,I had gotten out of the habit and just need to jump back in and play!